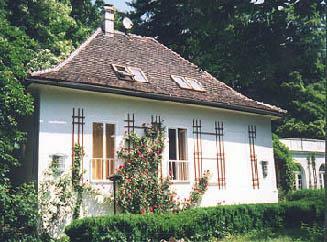 Unique 1BR single family house on the outskirts of Vienna. This exclusive holiday residence is surrounded by a large natural garden, best suited for people in love, happy retirees and families with children. Despite unique position at the edge of the Vienna Woods you can easily reach the city center with public transport. Fantastic View. Tranquility. A place for romantics and for people looking after the special.